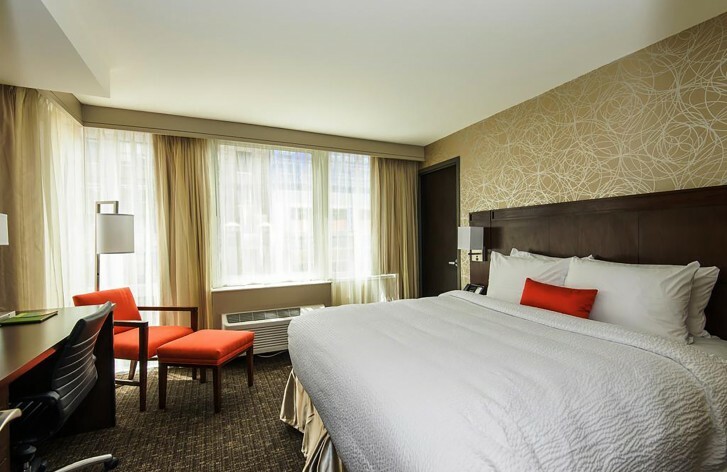 Courtyard By Marriott Times Square West Make your day hotel stay enjoyable and comfortable by booking your day stay at Courtyard By Marriott Times Square West. 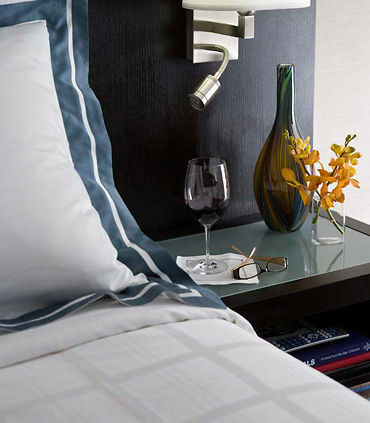 Take a break and enjoy a daycation at this luxury, contemporary hotel in the heart of Manhattan. 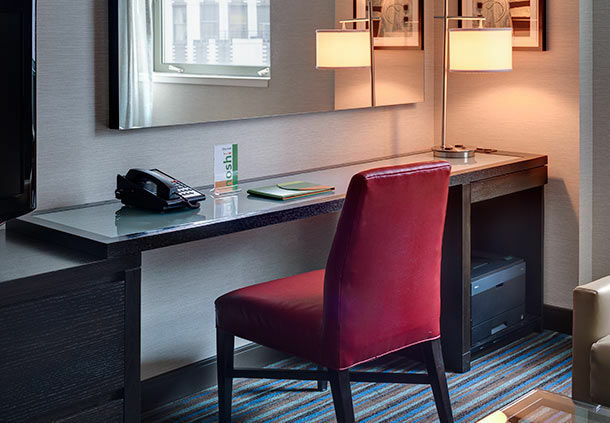 The Courtyard New York Manhattan/ Times Square West by Marriott features newly renovated rooms with free wifi that are the perfect place to relax or work. Treat yourself to a fun, bistro meal at Nosh! - the hotels’ trendy café or catch up on some sleep with the top of the line plush bedding. 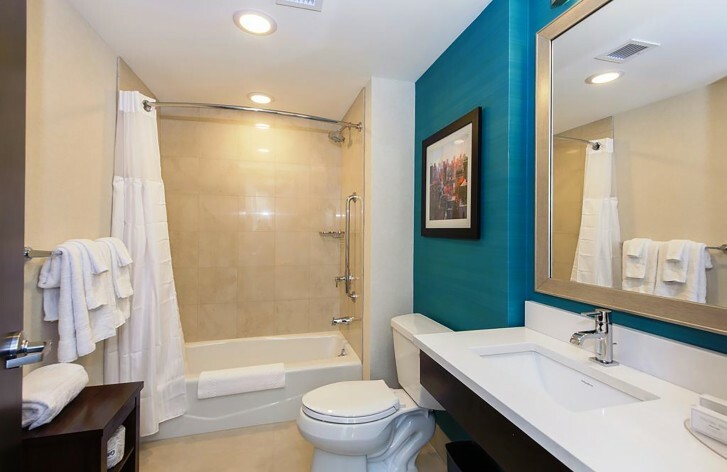 Just a few steps away from some of New York’s most renowned attractions, it is the perfect place for the person who wants it all, comfort and experience. 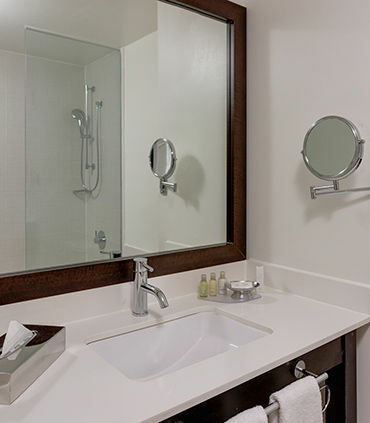 Book the perfect day stay at Courtyard Times Square West with Hotels By Day! Broadway - No trip to New York is complete without seeing a show on Broadway. 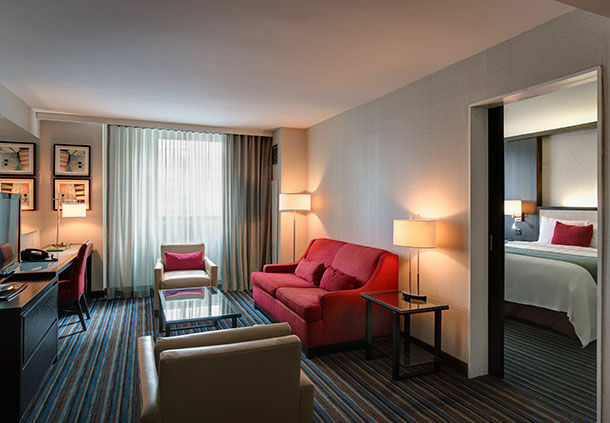 If you’re getting ready for a show in the evening, a day stay at the Courtyard New York Manhattan/ Times Square is a great way to get into the city early and turn it into a day trip. Mr. Broadway Kosher Restaurant - This restaurant has definitely earned its keeps among New Yorkers for its famous authentic Israeli-styled shawarma. 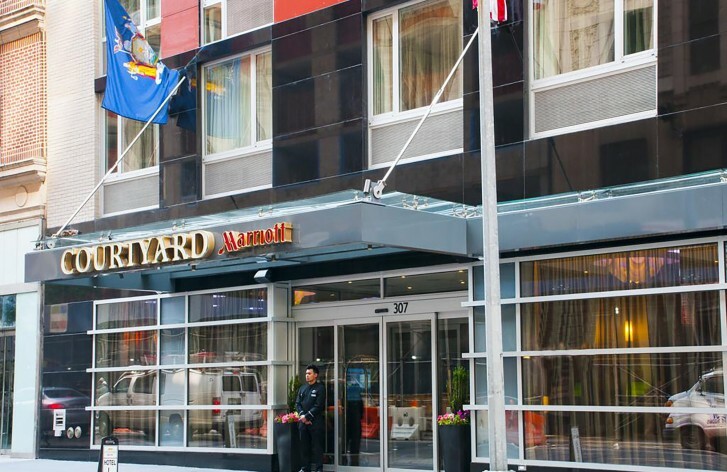 With toppings off the roof and conveniently located a couple of blocks from the Courtyard, Mr. Broadway will fill you up and have you relish for more visits. United Nations - An attraction that welcomes more than a million visitors every year, the UN is a great stop on your tour of the city. 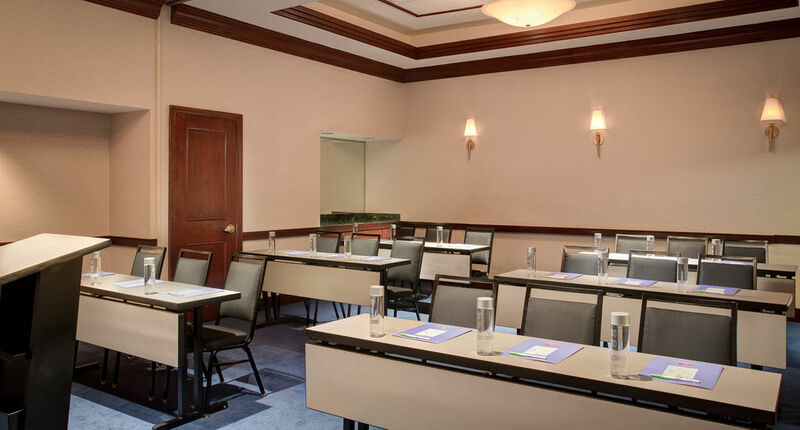 Take a guided tour through the building where the politicians of the world come to gather; or enjoy lunch with a view of the river in the Delegates’ Dining Room. 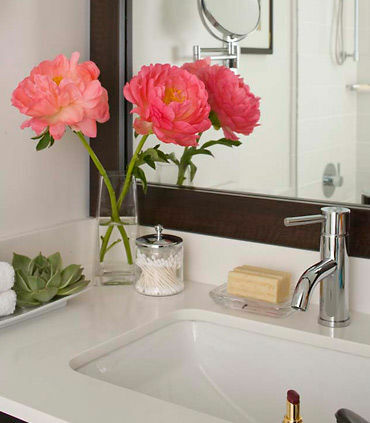 Fifth Avenue - If you love shopping, you’ll love the location of the Courtyard New York Manhattan/ Times Square. 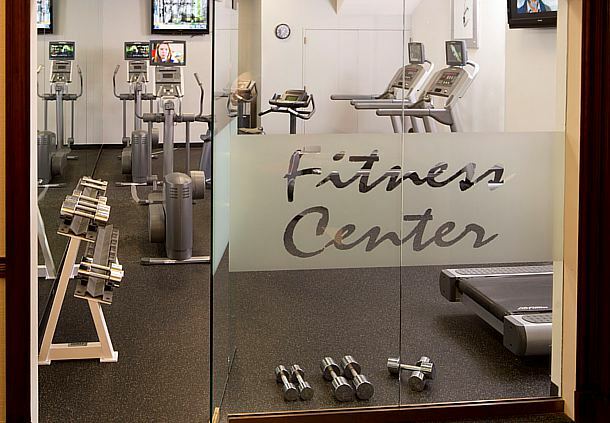 Just next to Midtown attractions, Fifth Avenue is the ultimate destination for shoppers. 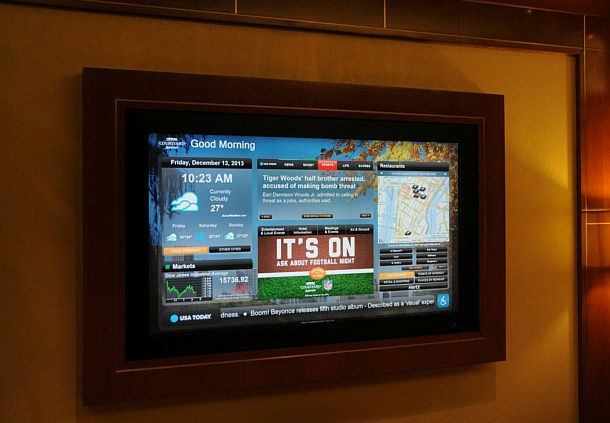 Guests can explore the floors of retail outlets on this famous avenue running through the heart of Manhattan. 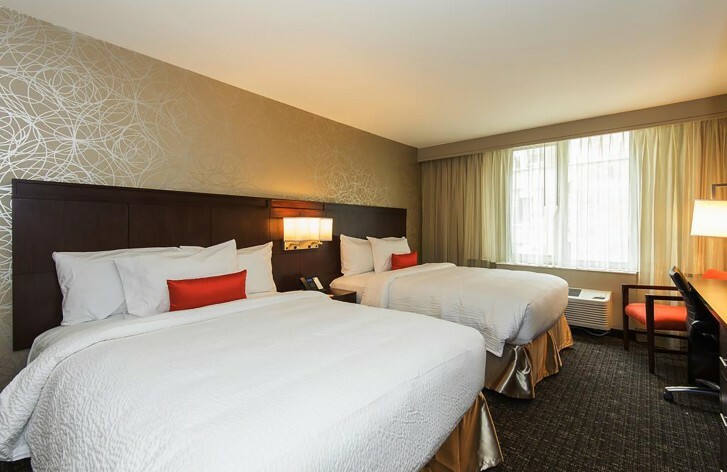 Transportation- The hotel is situated just a block from the 42nd street subway station and just a few more away from Grand Central Terminal so not only is there easy access to the whole city, but bordering states are also just a quick ride away. 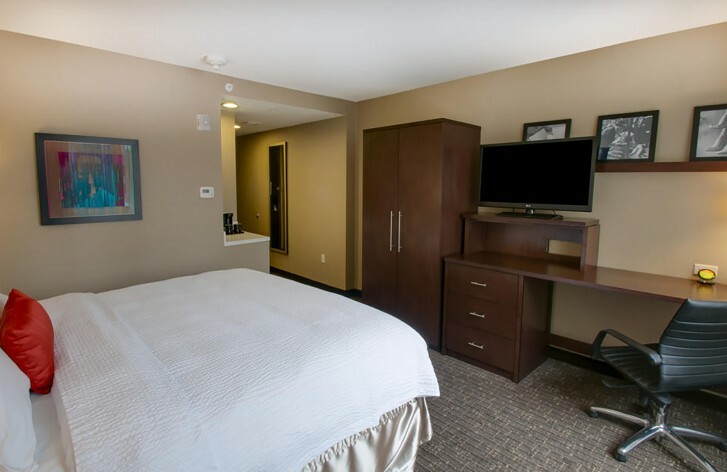 Perfect for a day stay! 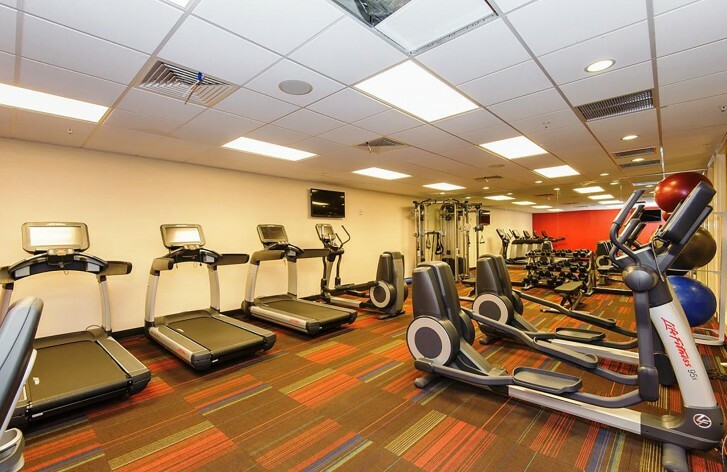 Gym- Don’t stress about missing a workout because at the Courtyard New York Manhattan/ Times Square the state of the art fitness center is available for every guest to take advantage of.